Reading books with kids never gets old. Even when we’ve read the same book over and over again. As summer comes to an end, I wanted to gather a few of my favorite fall books for preschoolers. 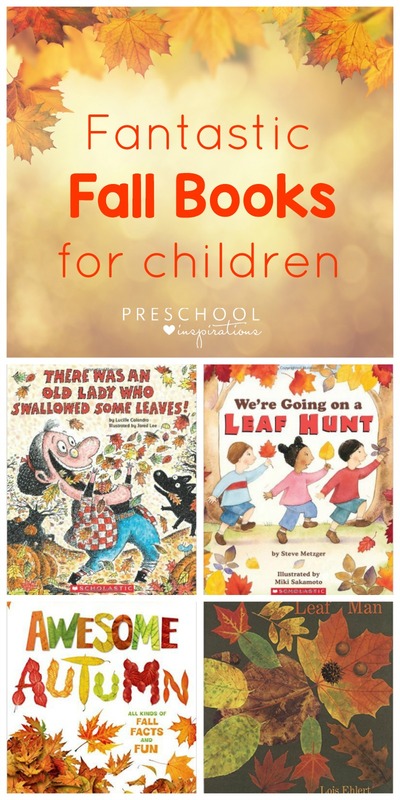 These books are perfect to read before making a fall discovery bottle or exploring fall fine motor fun. After you’ve taken a peek at the titles, be sure to let me know some of your favorite books about fall. This fun book follows three friends as they hunt leaves, in the fashion of the popular Bear Hunt song. An added bonus is the wonderful rhyming text! We all know the popular rhyme about the old lady who swallowed the fly. In fall theme fashion, this lively book has her swallowing leaves! Fletcher is a young fox who is quite concerned about the falling leaves. This adorable story of discovery will be sure to make children smile! This enjoyable board book will definitely be a favorite for your toddlers! Introducing fall with the tactile experience will make an impact they won’t soon forget. This nonfiction picture book helps explain fall in language that children can understand. Children will learn how both people and animals prepare for colder weather. Travel to Bear Country with the Berenstain Bears for their first Harvest Festival! This fall book was written by Mike Berenstain, son of the original Berenstain Bears authors Stan and Jan Berenstain. Go on an adventure with Leaf Man as the winds of fall blow him this way and that! Illustrations made from real leaves and a leaf identifying labels make this book not only fun but educational. This fun fact filled book about fall covers a variety of things to do during this amazing season. From Karel Hayes’ acclaimed Visitors series, we follow the beloved family of bears on an adventure through a New England autumn. This photographic picture book for emergent readers is sure to delight! Engaging photographs, thoughtful vocabulary, and language that is easy to understand make this the perfect book for young students. 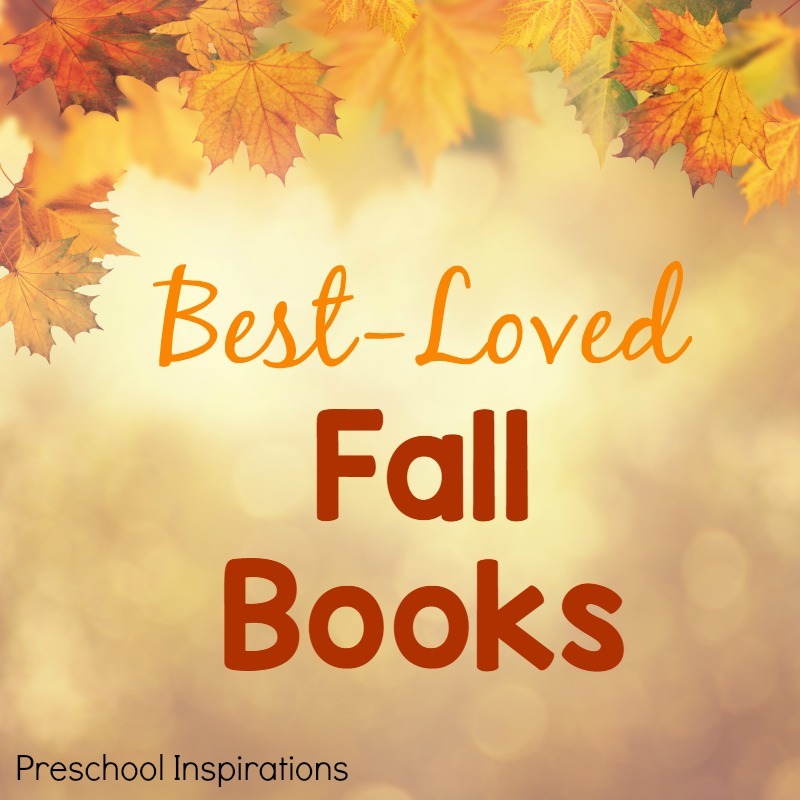 Which of these fall books for preschoolers are you most excited to read with the kids? I think that’s the toughest decision – which book to read first! I’ve got even more books for you to look into if you’re already planning for winter. Thanks for the wonderful comment :). I hope you find some more that you love!